PAYMENTS ACCEPTED – Credit or debit. Pay at pick up. PICKUP HOURS – 7am-9pm, 7 days a week. The Kroger website is pretty easy to navigate. Search for an item or browse through the different sections shopping for what you need and add it to your cart. Note: This gets me every time. If after I add an item to my cart and I decide I want to increase the quantity, I sometimes click the + button on the item in my search results and not the + in my cart. If I’m not paying attention I don’t order as many as what I thought. “How do I redeem coupons? Digital coupons loaded to your Shopper’s Card will automatically be applied to your order at pickup, and discounted from your total. Click here to view digital coupons. 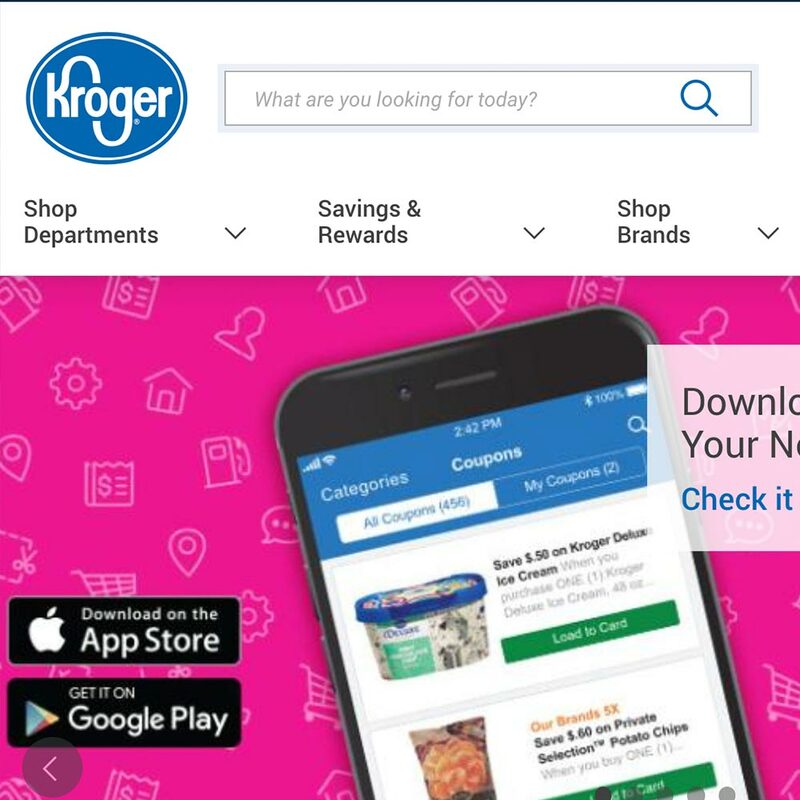 I have the Kroger app on my phone. When have a few minutes to spare I go through the app and clip the digital coupons. Since my husband uses my Kroger rewards card too, the coupons I clip apply to his transactions and the online orders. Digital coupons are awesome. Kroger Clicklist has a quick turnaround time in my area. On new year’s eve, I placed a $200+ grocery order (not exactly a tiny order) as soon as I woke up since I forgot to do it the night prior. I had my order placed by 8:00 am and picked up the groceries by 12:30 pm the SAME day. I have not had a problem with the freshness of produce. There are often times when what I order isn’t available so they substitute it with another item. Never have they substituted an item which I could not use in its place so I allow substitutions for nearly everything (except cereal…my beasties are particular about cereal brands). If you don’t want substitutions, however, they do offer a customization option for EACH item.